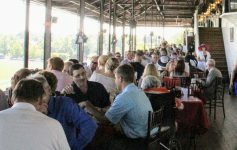 Have you heard about the 1863 Club at Saratoga Race Course? This is the racetrack’s newest hospitality and event facility featuring three unique floors, and it will debut during the 2019 summer racing season. If you’d like to experience the races from this new building, then be prepared! On Thursday, March 21, the New York Racing Association, Inc. (NYRA) will begin accepting large group reservations for the 1863 Club. The 1863 Club is a 36,000-square foot building located on the Clubhouse turn. This state-of-the-art, three-story facility offers guests a wide range of modern-day amenities and amazing views of the racetrack. The first-floor banquet space is called The Rail at the 1863 Club, and it features floor-to-ceiling windows with table seating for up to 500 guests. First floor guests can watch the races from a private outdoor area on the apron as well. The second floor is an event space that can accommodate up to 100 guests, and the third floor is home to luxury suites, with capacities ranging from 30 to 45 guests. 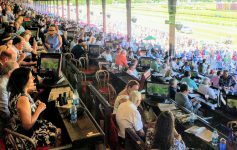 Starting Thursday, March 21, at 10:00am, NYRA will accept group hospitality bookings for full-space rentals and groups of 100 or more guests at the 1863 Club. Then, on Thursday, March 28, at 10:00am, they will begin accepting reservations for partial-space rentals and parties with fewer than 100 guests (eight-guest minimum required). 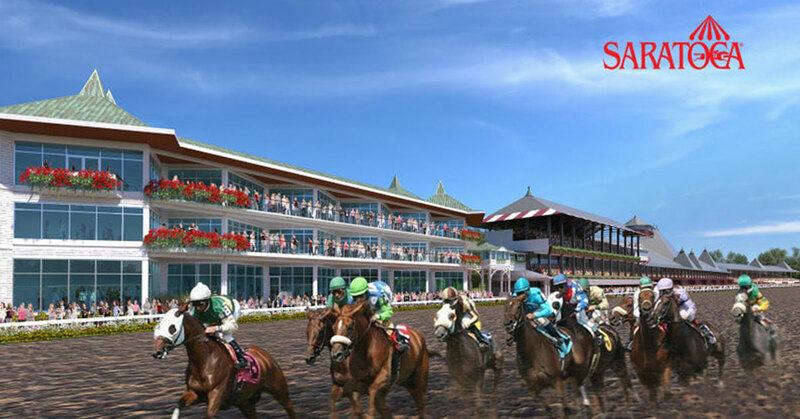 Reservations for the 1863 Club will be processed through the NYRA Box Office or by phone at (844) NYRA-TIX. 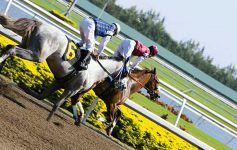 Are you interested in watching the races at the 1863 Club?